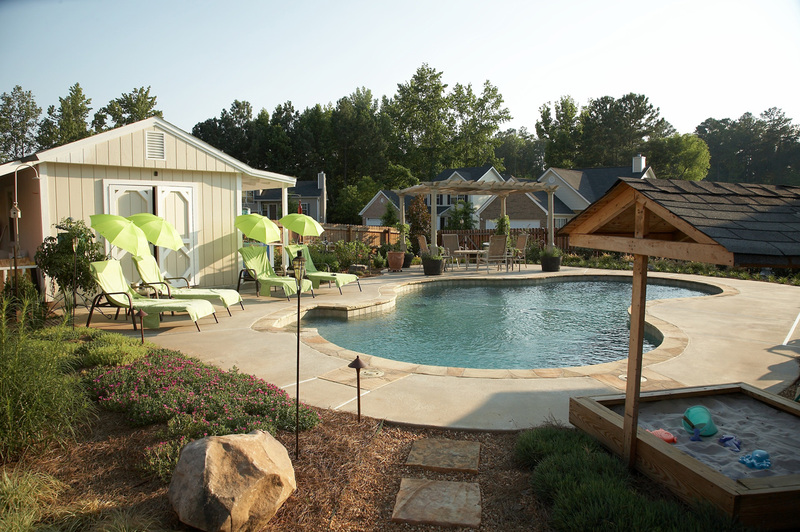 This traditional brick home with a wrap-around porch needed an understated yet impactful entry feature. 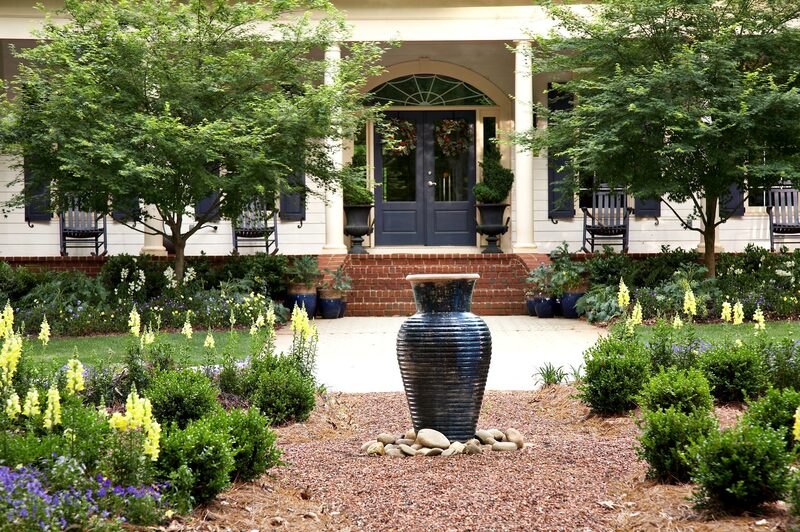 After removing thin underperforming trees and installing symmetrical Japanese maples at the porch, an urn fountain with small crimson stone paths was added in the circle turn around that invites guests into this south Atlanta home. 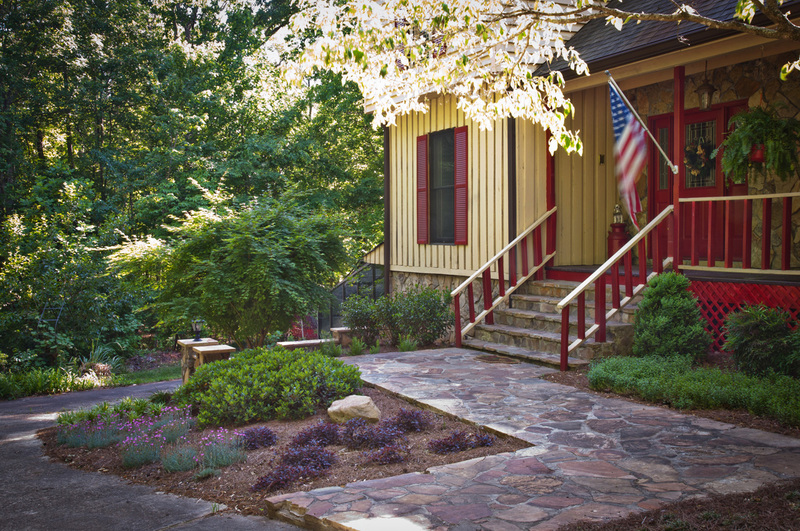 Container gardens and annual flower beds were added in colors to match the front door and shutters to tie the architecture to the landscape. 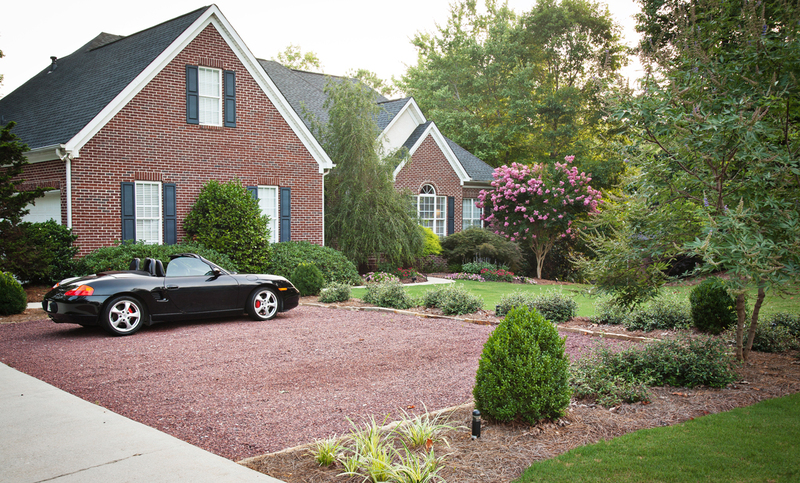 At the street brick monument entrance walls were added with stone caps, and annual flowers backed by dwarf shrubs and perennials satisfied the owner who is an avid plant collector. 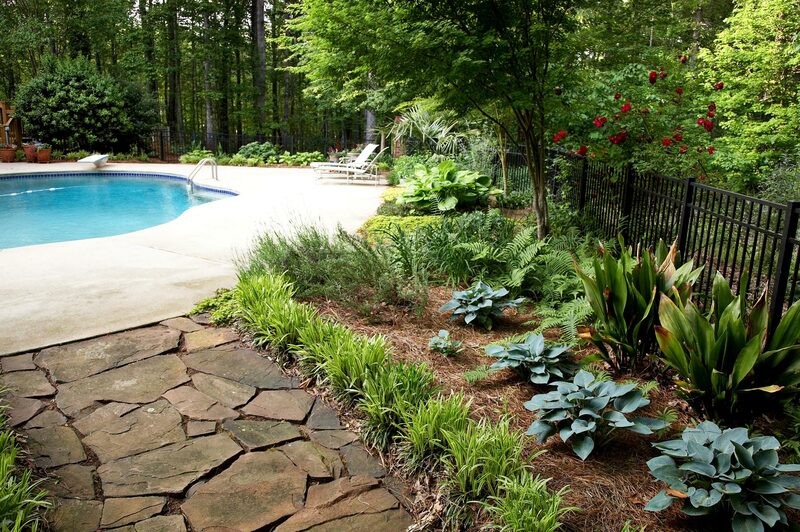 Pool plantings were accentuated with ferns, creeping ground covers, and stepping stone paths leading to outlying amenity areas.